Kirk Vallis - Innovation Expert at Google. Kirk Vallis is an expert in the development and harnessing of creativity and innovation within the work place, and the value of people, alongside technology, in achieving this. After an early career in commercial media, Kirk began to apply his experience towards a philosophy he has been successfully promoting for the better part of the last decade. Formerly the Head of Network Commercial Operations (Radio and Digital) for Global Radio and Director of Digital for Sky, in 2010 Kirk took an assertive step towards his current space when he joined ?What If! Innovation Partners. Overseeing Corporate Innovation Capability and Transformation, he initially worked with partners in joining innovation with business strategy. 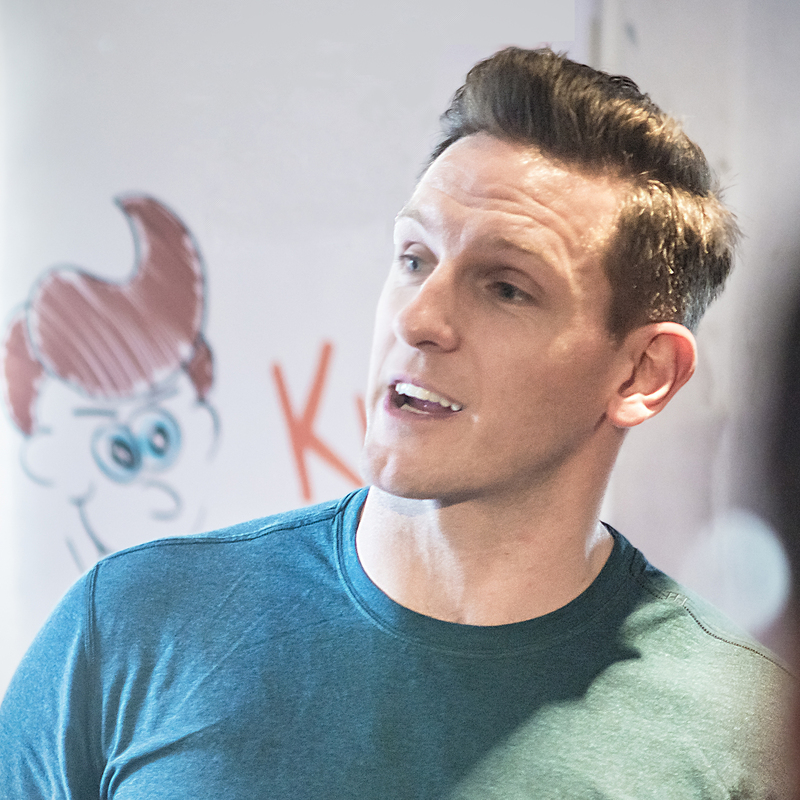 Growing within the organisation, Kirk would soon operate at board level, developing programmes for enhancing the relationship between culture and innovation, and creating and delivering the training to help individuals best realise their potential. In 2012, Kirk joined Google as their Global Head of Creative Capability Development. Here he would further delve into the connection between culture and behaviour and their attendant effects on positive innovation. He is still active in this role, improving the organisation with these ideas. Recently Kirk’s scope has expanded even further, in 2016 joining Moving Ahead as Diversity Ambassador. Focussing on diversity and inclusivity and their value towards performance and creativity, he delivers masterclasses and keynote speeches with a notable emphasis on encouraging senior leaders to identify and appreciate the unique potential of every individual within an organisation. Combining his expertise for creativity as a critical skill, with his passion for sport, Kirk now also supports the elite and development areas of England Rugby, the English Football Association and Adidas in how fresh thinking and problem solving can provide a vital edge in both the performance and business sides of sport. A previous mentor to The Hope Fund for Cancer Research, partner with Singularity University, and a contributor to Google-sponsored Stanford University Executive programmes, Kirk is unquestionably a leading authority in his field. Able to transmit his thinking with immense clarity, his talks are engaging and deeply motivating.